Learn about our Best Rate Guarantee. The Beresford Arms presents a delightful nod to 1900s San Francisco. Many of our Suites offer all the comfort and spaciousness of your own downtown apartment. The lobby’s arched windows have wowed guests for over a century and are officially designated design elements of the Nob Hill Historic District. 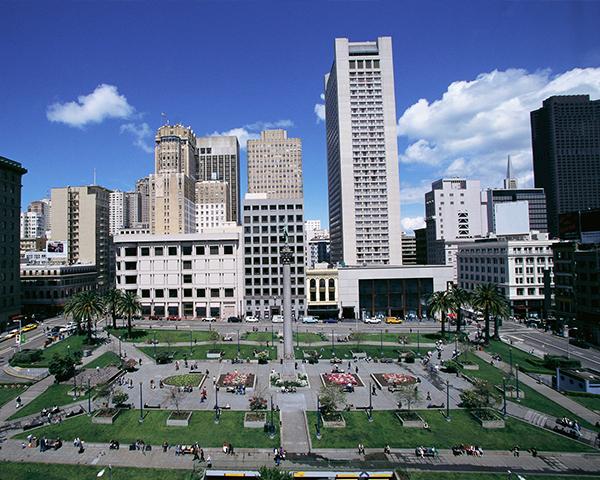 The hotel is only two blocks from Union Square, the cable car and the Theater District. Between outings rest your feet and visit with guests from around the world, with complimentary beverages and light hors d’oeuvres during the “Sip & Snack” Social Hour. 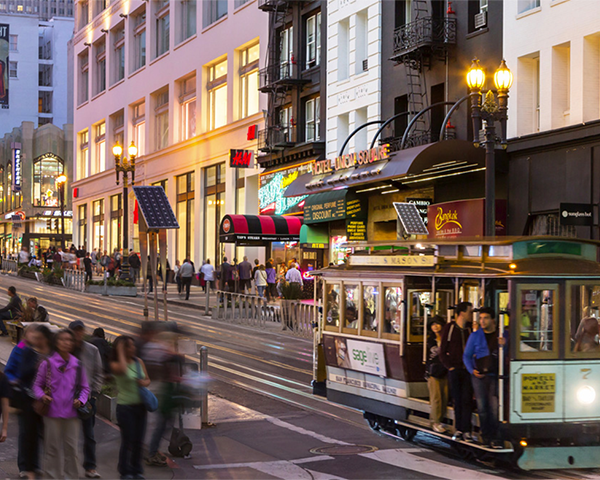 From theater performances and unrivaled shopping to craft cocktails and the best sushi in the city, you don’t have to walk more than a few blocks from Beresford Arms to find incredible San Francisco experiences. 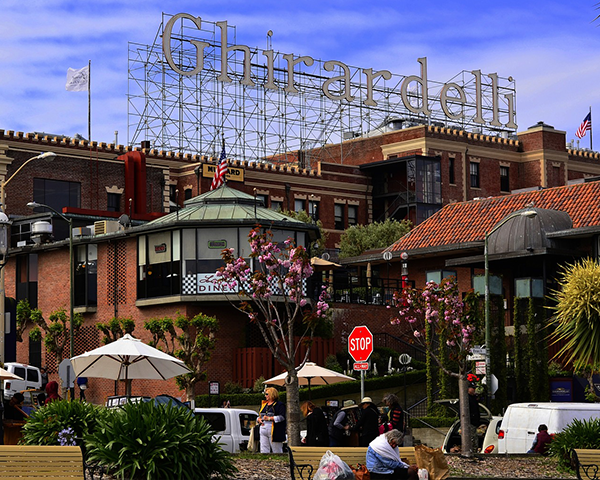 Explore our Lower Nob Hill District neighborhood to see what’s in store! Create your own vacation itinerary with our trip-planning tool. Discover events that coincide with your visit and learn about our favorite things to do in the city. Simply drag and drop events and attractions to build your itinerary and we’ll email you a copy. As one of just two family-owned and family-operated boutique hotel brands in Union Square, Beresford is proud of our story. Stepping into our carefully preserved, gilded lobby feels a bit like stepping back in time—if the Victorian era had complimentary WiFi. The family-friendly suites at Beresford Arms feature two queen beds and either kitchens or wet bars, with cribs available upon request. We also offer standard guest rooms with various bed sizes, as well as ADA-accessible rooms. Dogs are welcome on designated floors of the hotel. Beresford refuses to nickel and dime our guests. The Wi-Fi is always free. 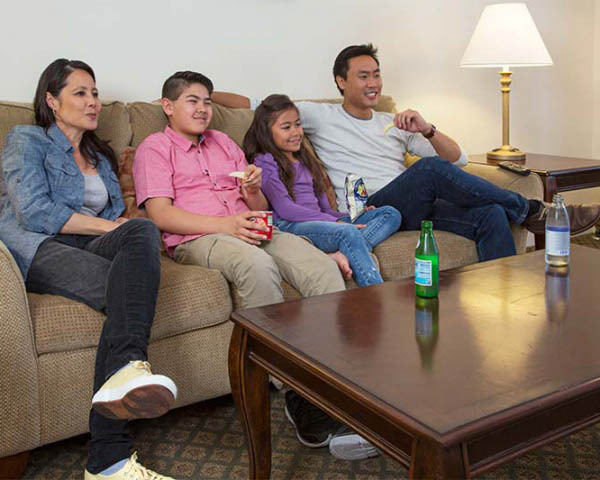 Our in-room honor bars are stocked with affordable snacks and drinks. And our continental breakfasts and social hours between the sister hotels—both complimentary—add a little wiggle room to your vacation budget. If you are visiting Bay Area, there are so many things to see and do, it may be hard to know where to start. Here are wealth of resources which will help you find the best the Bay Area has to offer. The hotel is listed on the National Register Of Historic Places as one of the architectually significant structures that comprise San Francisco’s Nob Hill Historical District.